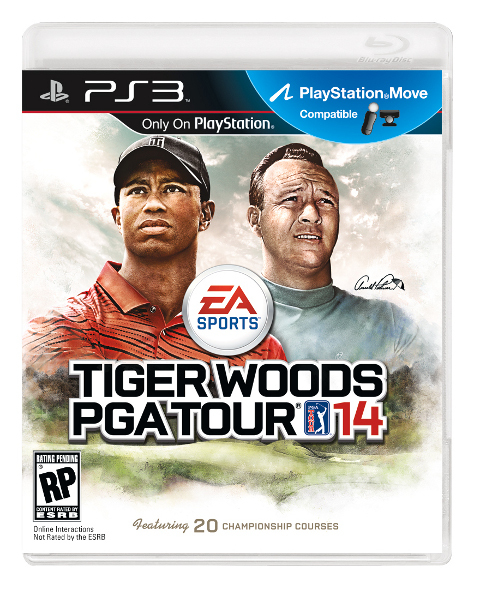 For the latest edition of Tiger Woods PGA Tour, EA is enlisting one of the all-time greats of golf. Arnold Palmer, the winner of seven major championships through his career, will be appearing in Tiger Woods 14 and on the cover. Palmer turned pro in 1954 and competed in tournaments until 2006. His Tiger Woods 14 incarnation will be based on his appearance in the early 1960's. That was the time period when he chalked up his wins at the Masters, the U.S. Open and the Open Championship. Tiger 14 will also feature a crop of new talent. Keegan Bradley, Bud Cauley, Stacy Lewis and Lexi Thompson will also be featured in the game. There are 25 real-life golfers in the game in total. Only Xbox 360 and PS3 versions have been confirmed for the game so far. 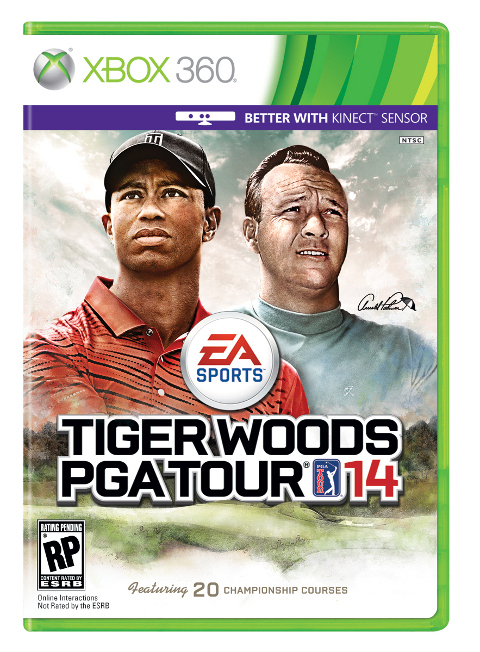 The box art indicates that the game will support Kinect and Move.